Anyone who’s spent more than ten minutes with me knows that fly fishing is one of my life-long passions. It’s a product of my Montana upbringing. 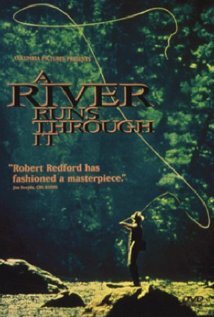 Long before Robert Redford brought Norman Maclean’s beautiful novella A River Runs Through It to the big screen, I was standing in the dirt lane in front of my childhood home trying to master the art of fly casting. What makes fly casting unique is that it’s the line that’s being cast, not the nearly weightless artificial fly tied to the end of it. You see, the fly follows the line and the objective is to cast the line out so that the fly comes to rest on the water delicately. Brute force has no place in this endeavor. It’s about rhythm and finesse. The harder we try to drive the fly out to where the fish are, the less chance it will happen. However, if we settle into the rhythm of the cast and work with the forces of nature, the more successful we are. The point of beginning in fly casting is the “10 & 2” rhythm. Imagine you are standing inside a clock. At your feet is 6:00 and directly overhead is 12:00. The motion of moving the rod back and forth between 10:00 and 2:00 is the basic casting stroke. The idea is for these movements to be smooth and rhythmic as the rod (with line extending out of it) travels its course. Whenever I’m having an off day of casting, I return to this basic rhythm, focusing on how smoothly I’m moving the rod back and forth between those two imaginary points. It’s amazing how that simple dynamic puts me in the right mental and physical place to regain the enjoyment I experience on the river. What if we sliced the work day into three sections? What if we look at the slice between our arrival at work (8:00?) and 10:00 as one part of the day? What if we called that the morning slice? Next, we could call the slice of time between 10:00 and 2:00 the mid-day slice. That leaves the last slice – between 2:00 and 5:00 – as the afternoon slice. Now that we have the three sections of the day defined, what if we looked for a rhythm in our days that would maximize our productivity – not activity, but actually getting things done? With three slices to each day, it’s possible to manage our time to focus on the behaviors that produce the best results given our particular work preferences. Understand that we’re talking about guiding our days and focusing on certain behaviors during certain periods of the day to the extent we can control this. It’s not always possible every day, but it’s generally possible many days. That is, a little bit of improvement each day adds up to a lot of improvement over time. Try this model on for size, but feel free to swap things around to best fit your personal rhythms. Mid-Day Slice = Collaboration Time. Schedule as many meetings and phone calls for the middle of the day as you can. Because a ton of work got down during the first couple of hours of the day, this is a terrific time to back away from the intense focus of individual effort, and work collectively with team members, customers, clients, etc. These periods often produce more deliverables and there’s still a number of hours left in the day to attend to those if they are urgent requests. Afternoon Slice = Big Picture & Administrative Time. The last few hours of the day are perfect for engaging in big picture discussions – like strategic planning – and for completing administrative matters. Recent brain science suggests that we become fatigued over the course of the day and even renewal periods become less effective as the work day nears it’s end. The idea here is to take advantage of that by doing things that don’t require intense focus and, in fact, require broader thinking (big picture matters) or lowered effort (administrative tasks). As mentioned above, these slices may not work exactly the same way for everyone. However, directing your effort and actions to the matters best suited for the available level of attentiveness throughout the day logically makes sense. It’s up to each person to find the mix of rhythm and finesse to make the most of their efforts. After years of practice and endless hours on the water, I often return to the basics of fly casting to settle back into the rhythm that transforms tossing a line above my head into the beautiful loop that unfolds in front of me and lays the fly down gently on the water at the spot I am hoping to find a hungry trout. The work day has similar rhythms that, once uncovered and leveraged, can result in higher productivity and a greater sense of achievement. This entry was posted in Organizational Skills, Time Management, Work/Life Balance and tagged breaking up the day, maximizing productivity, rhythm of productivity. Bookmark the permalink. Thank you for this. It Reminds me of my Idaho days which I miss terribly. Mary: Always happy to help people remember the best times of their lives!